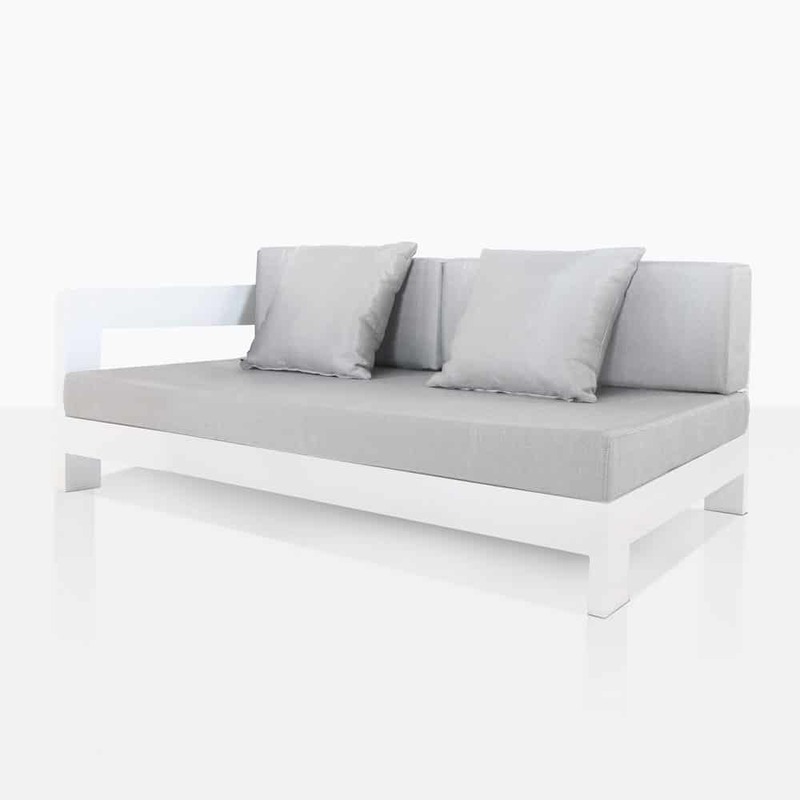 Sink into the deepest chasms of comfort with the Amalfi Aluminium Right Arm Daybed in bright White. An incredibly stylish piece from an extraordinarily chic collection, the Amalfi Aluminium Daybed is versatile, sumptuous and the highest quality for your outdoor furniture needs. 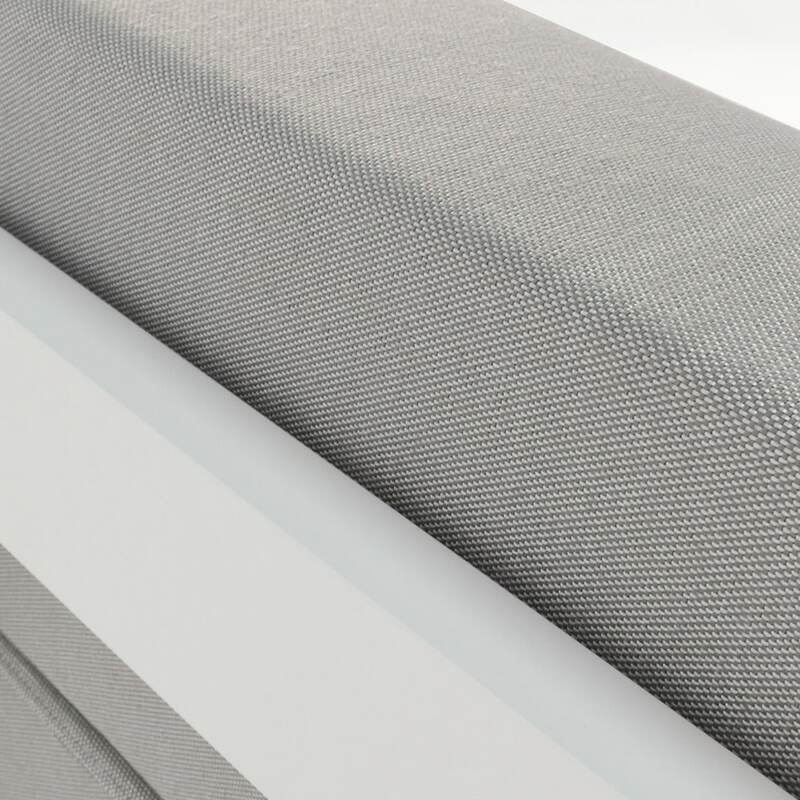 Amalfi is all clean lines and thick cushioning in a package that is sophisticated, sleek and stylish. Each piece can stand alone brilliantly or fit together in harmony to create a great many shapes to suit a great many spaces. Have an outdoor area that is wide and open, fit for a welcoming, polished and contemporary look? Why not place two opposing Amalfi Aluminium Daybeds with one arm next to each other for a fabulous, long, modern sofa. Somewhere to sip your drink of choice while enjoying the absolute excellence of your setting. 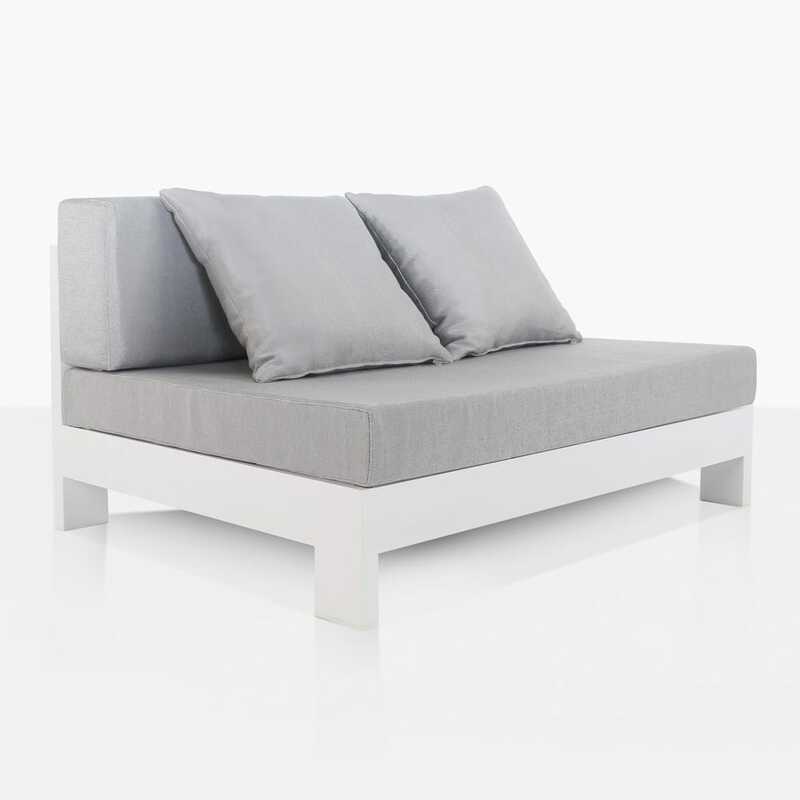 Create a divine L shape by simply adding an Amalfi Center to your Amalfi Aluminium Right Daybed. Pop one of the matching Coffee Tables in front, and get ready to sit back and relax, enjoying the finer things in life. 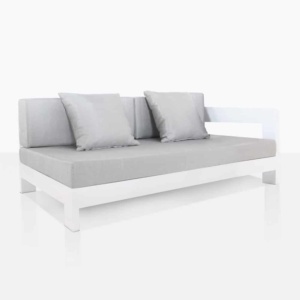 The Amalfi Daybeds framework is made from White powder coated aluminium, which alongside being exceptionally attractive, is amazing quality for outdoor use. 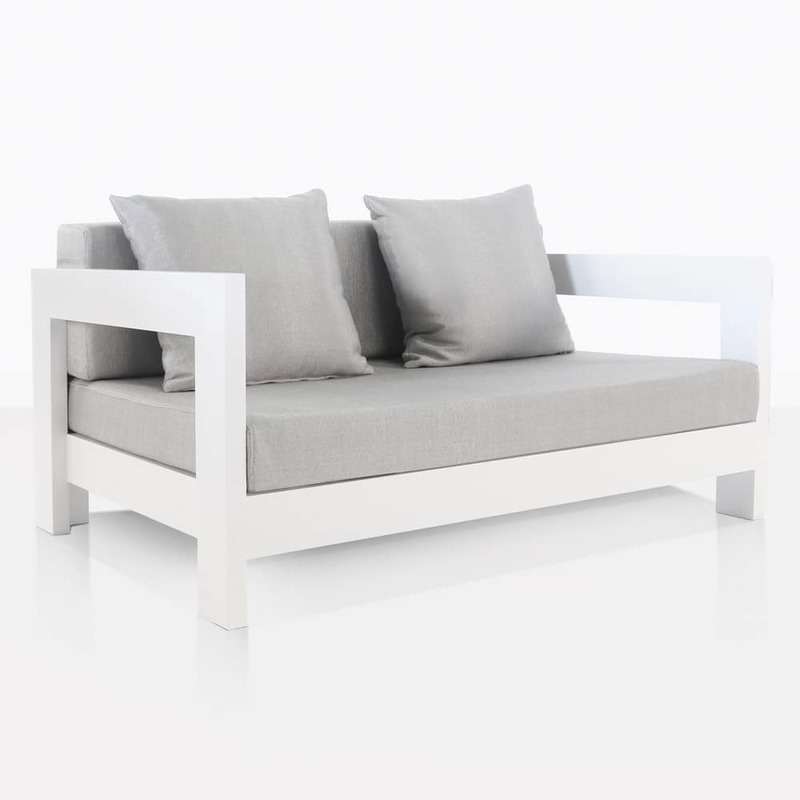 This daybed comes with outdoor cushions as shown, so you don’t have to worry about measuring or quality. Our Amalfi Aluminium Collection is available in both White and Charcoal, enabling choice to suit your homes colour palette. 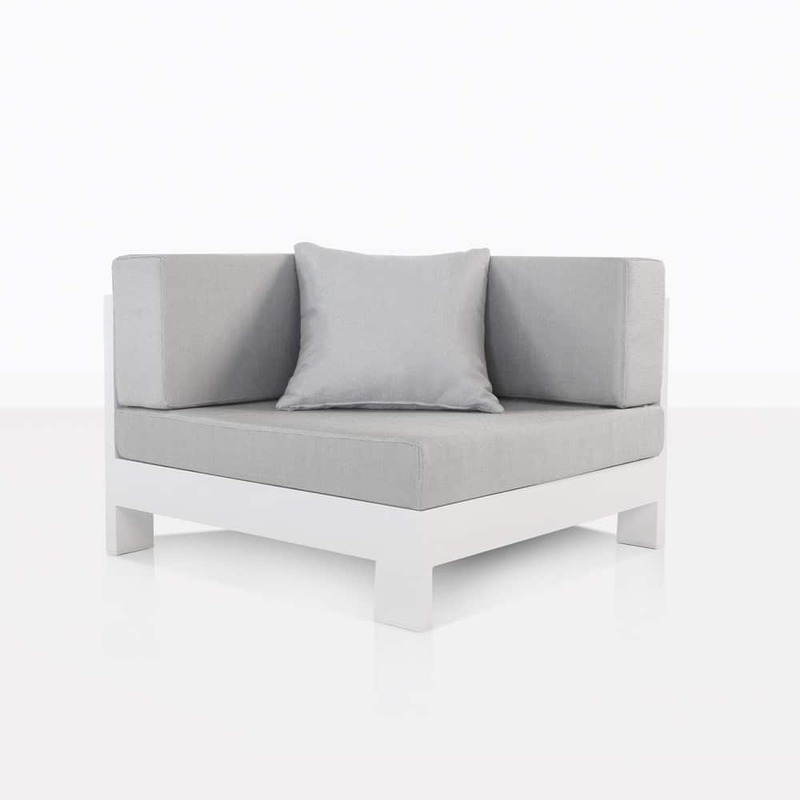 Design Warehouse is the trailblazer in all things outdoor furniture related. Let yourself in on the secret, and visit our Parnell showroom now! Peruse our website too for comprehensive information and imagery on all our incredible products. 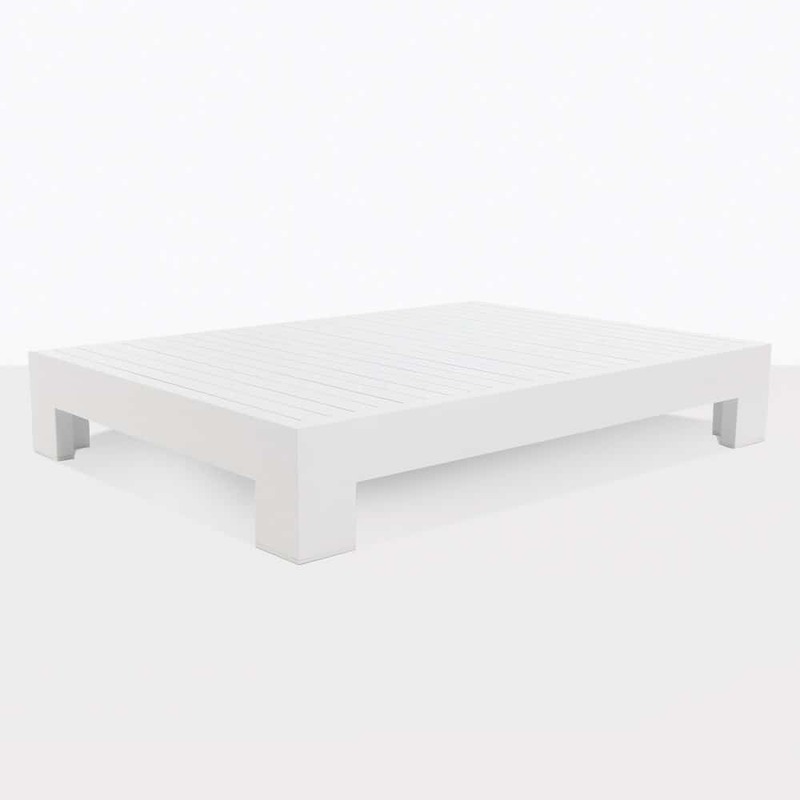 Call today to order your Amalfi Right Hand White Aluminium Daybed, for the beginning of your outdoor furniture journey.